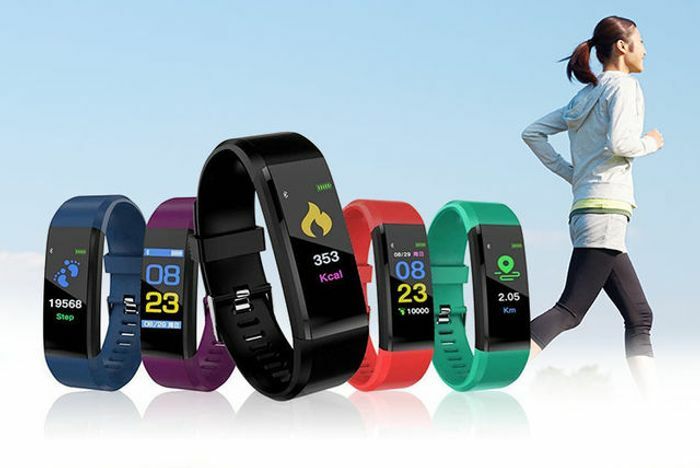 82% Discount VeryFit Pro 20-in-1 Activity Tracker w/ HR & BP Monitor! This 115 Plus smart watch does so much more than tell the time! Features include call reminder, information reminder, smart alarm, push notifications and remote camera. As well as heart rate and blood pressure monitoring, calorie counter, pedometer, sedentary reminder and sleep monitor. Compatible with Android and iOS operating systems and links with Bluetooth. Choose between black, blue, cyan, purple and red.